I have to admit it. 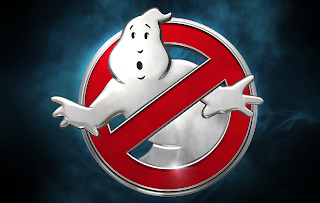 I am a HUGE fan of the original Ghostbusters. I was such a big fan, that for my 10th birthday my parents took about ten of my friends and me, to the New York City Premiere of Ghostbusters II. Although I didn’t feel the sequel held a candle to the original, I always hoped, deep down in my heart, there would always be a third Ghostbusters. 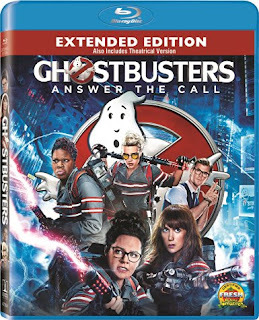 Well, I was over the moon when the news broke last year that Sony was developing another Ghostbusters. In my imagination, I’ve casted each character for decades and could not wait to hear who was the new team. I always believed actors like Jonah Hill, Channing Tatum, Aziz Ansari and Seth Rogan would have made an incredible ghost busting team. However, when I heard it was Kristen Wiig, Melissa McCarthy, Kate McKinnon, and Leslie Jones, I had a very neutral reaction. It wasn’t going to be my star casting, but I had faith that Paul Feig wasn’t going to let the fans down. I had the opportunity to watch it last night with my wife, and I must say, it was hysterical. The four ladies had incredible chemistry. The script was very well written. Chris Hemsworth was a riot. There were times where I was actually laughing out loud, and my wife had to shush me because the kids were sleeping. He stole the show. The one thing I did not like was the cameos of the original cast. I thought the original characters played such a great foundation that the torch should have been passed down in this film, much like Star Wars 7. I commend the filmmakers for making this a standalone movie, but if I was given the chance to write the script, you could bet the farm I would have included Venkman, Stantz and Zeddemore (RIP Egon). Otherwise, it was a great movie and very funny. I highly recommend it.